A few tricks to build your “list”. Email marketing can be more complicated than you might expect. You will want to make sure that you are not overly confident about this marketing technique and that you take some time to really learn how to use email marketing effectively. Marketing is often a process of trial and error. You will have to try email marketing techniques and see if they work for your business. You should make sure that you are allowing enough time for any marketing technique to be effective. 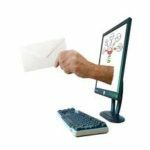 Affiliate Marketing Email Marketing – What to email? Are you confused about what to email? Well, think to yourself, what can you teach just one person on your list today? What problem do they need solved? What did you wish someone would have helped you with in the early days? Try to think like your target prospect. Provide VALUE, VALUE and MORE VALUE. Example: Your target customer needs traffic, leads and sales. The person that you are speaking to in your email is frustrated because they are blogging and not getting the success that they are looking for. Mention the frustration in your email. Discuss the thrill of getting traffic, leads and sales “while you sleep”. Link them to a blog post on your site that provides details and a solution OR point them to an affiliate sales page that does the selling by describing the solution that the affiliate product provides. Eliminate their pain. CLICK HERE for an affiliate product I would use for such an email. Affiliate Marketing Email Marketing – DO NOT TRY TO RECRUIT THEM OR SELL THEM IN THE EMAIL. Tell them ‘what it does” not “what it is”. Establish a relationship by addressing a problem that they might have and direct them to a solution (VALUE). Like I said above, you can direct them to one of your blog posts or direct them to the affiliate sales page that will provide the solution. You should look for plug ins that can help you with your list. When you find plug-ins that help you, email your excitement about the time you saved and how this plug-in allows you and them to spend time with their family instead of laboring over a computer. The right tools will allow you to grow your list. Plug-ins that help you are good candidates to promote as an affiliate. If they helped you create a better life and “lessen the pain”, they will help people on your list in the same way. Include that plug-in solution in your next email blast. Affiliate Marketing Email Marketing – How Much “Value” versus How Much “Selling”? When you are first using email marketing you will want to make sure that you have clear direction and clear expectations. You also want to make sure that you let your subscribers know what to expect from you. 100% of your affiliate marketing email marketing should be value based. Let them know that you will provide answers to burning questions that they have. What is the focus of the email? Once you decide, stay focused!! Don't put links to 10 different things. Emphasize a link to the solution in the body and also in the PS. Don't forget the PS. Many people will drop to the bottom of the email and click on a link there if it gives them a solution to their pain. This will help you to spark a good relationship from the very beginning phases. Present “value” in EVERY email. Be selective about what you promote. Know what you are offering and what value it holds, so you can tell your list what it does for them, not what it is. Affiliate Marketing Email Marketing – Would You Buy From You? Ask yourself that question as you read your email. Are you offering value such as coaching, technical help or giving away a truly valuable FREE webinar training? Would you take action if you got this email? Affiliate marketing email marketing can be very effective if you use these tips. Do it now and change your business forever. PS – Who else wants to discover how to get affiliate commissions and get paid 24 hours a day? PPS – Now if I were just getting started today I would take a close, hard, serious look at the MyLeadSystemPro. Take a “Test Drive” today. It gives you the heavy duty tools and training you need to start making affiliate commissions today. It also targets a MASSIVE NICHE called “business opportunity seekers” and it pays a MONTHLY COMMISSIONS. 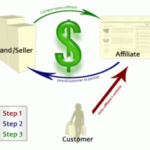 Affiliate Marketing for Dummies and the Rest of Us!